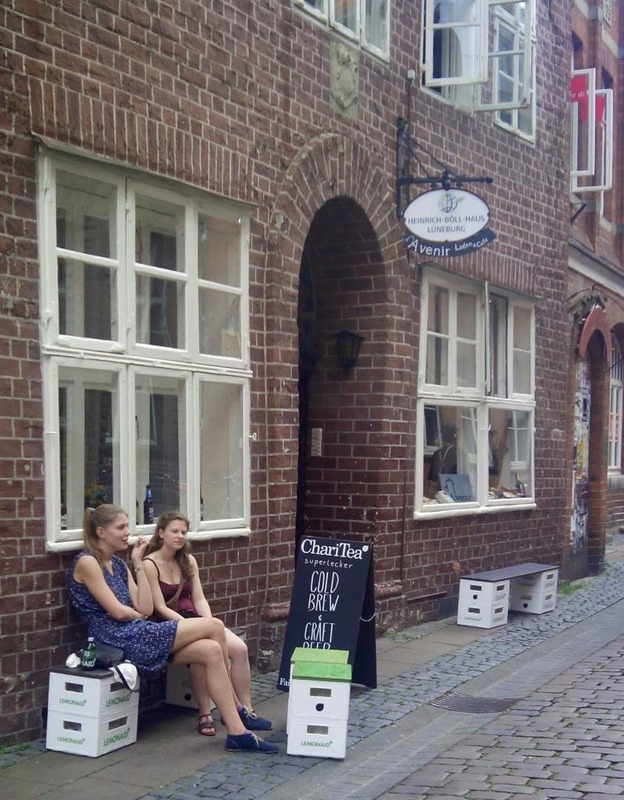 Good heavens, Luneburg now has a craft beer café! Avenir Laden & Café also sells cold-brewed coffee, organic wine and deli stuff, second-hand books and so on, and is just off the main shopping area on Katzen-Strasse, not far from the market square. It's very much "in the mould" – bare floors, jam-jars as glasses, furniture upcycled from crates and so on. 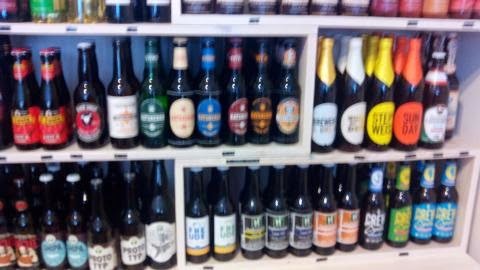 The beer is mostly modern German craft and crafty brews – eg. Crew Republic, Ratsherrn, Kehrweider, the Brewers & Union beers which are nominally South African but are brewed for Europe by Arcobräu in Bavaria (or so I understand), plus one that's new to me – Hamburg-based Von Freude. There are a few English examples – I've noticed than when German beer fans turn to British beer, it is often for the darker ones, and here it's Fuller's London Porter and Sam Smith's Oatmeal Stout. You can't go too far wrong with those two! ﻿When is a Pilsner not a Pilsner?